The leader of the Band of the Hawk. Koei Tecmo has released a new gameplay video of its upcoming Berserk game showcasing playable character Griffith’s actions. If you missed it, the previous video showcased Guts. 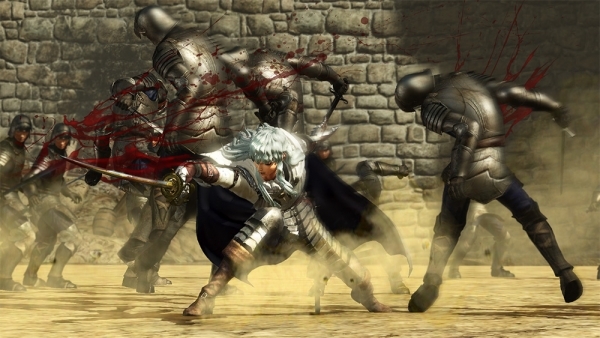 Berserk is due out for PlayStation 4 and PS Vita at retail, and PlayStation 3 via download, in Japan on October 27, and for PlayStation 4 physically, and PS Vita and PC via Steam digitally in North America and Europe this fall. In Japan, first-print copies of the game include a wet outfit for Casca.